The city of Hamilton is looking for people to submit art work for our "Neighbourhood Sign" For more information. www.hamilton.ca/northendpublicart. We had 186 votes for our sign slogan. Thanks to everyone that voted. 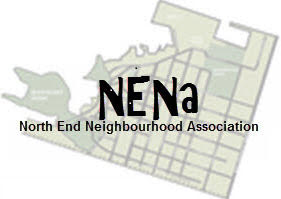 The winning slogan is "Welcome to the North End, The neighbourhood by the Bay"
Here is the detailed survey data. The slogan has been sent to the city who will now complete a formal request for an artist to create our neighbourhood gateway signs.